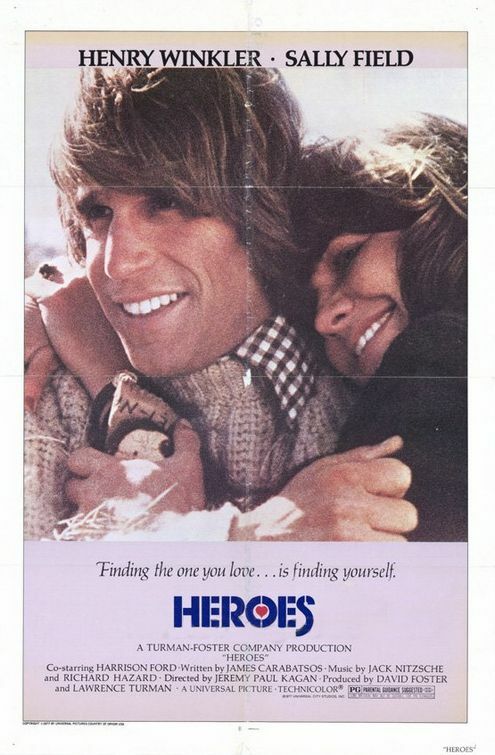 Jack Dunne (Henry Winkler) is a veteran who returned from Vietnam only to get locked up in a mental ward due to his memory loss and post-traumatic stress. He’s managed to escape the ward four times, but he always gets dragged back. In one instance (which opens the film), he gets himself into trouble by walking into a military recruitment office and trying to stop people from signing up. The cops immediately recognize him and return him to the hospital. 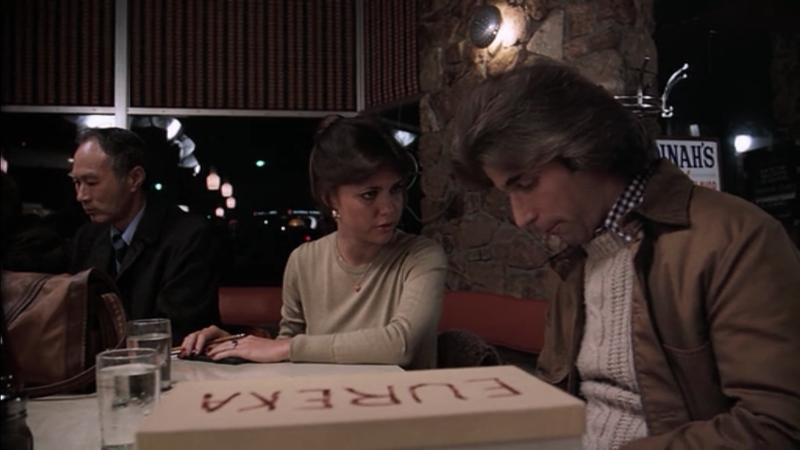 On one of his escapes — which he accomplished by shaving his mustache, posing as a doctor and simply walking out of the hospital — Jack meets a woman named Carol (Sally Field) at a bus station. Carol is engaged to be married but is confused about her future and wants to get out of New York City. The two set off on a trip across America looking for three of Jack’s old friends from his unit in Vietnam, who Jack hopes will start a worm farm with him. Jeremy Kagan directs 1977’s Heroes. The film was written by James Carabatsos, himself a veteran of the Vietnam conflict, serving with the 1st Air Cavalry Division. This was his first film as screenwriter, but Carabatsos went on to write six more films, including another about Vietnam titled Hamburger Hill. This was the director’s feature film debut as well, though he had previously worked in television. 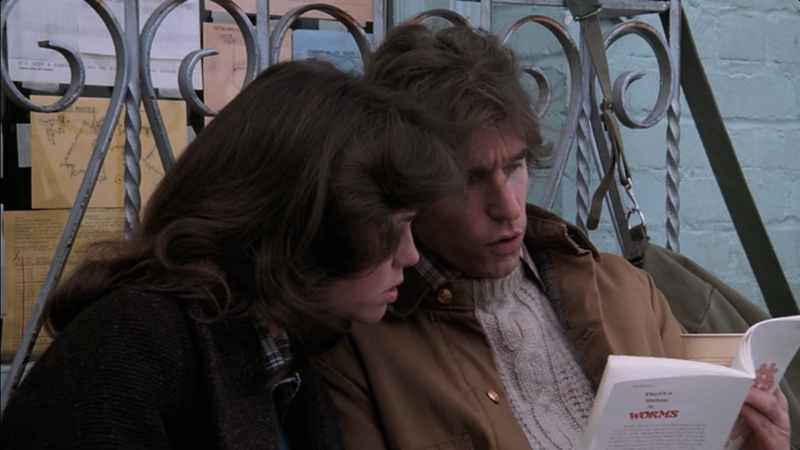 I selected Heroes on Netflix one night because I’m a big fan of both Henry Winkler and Sally Field, and prior to running across it in the “Drama” section I had no clue they’d ever made a film together. Surprise, surprise, I loved both of their performances in this film! 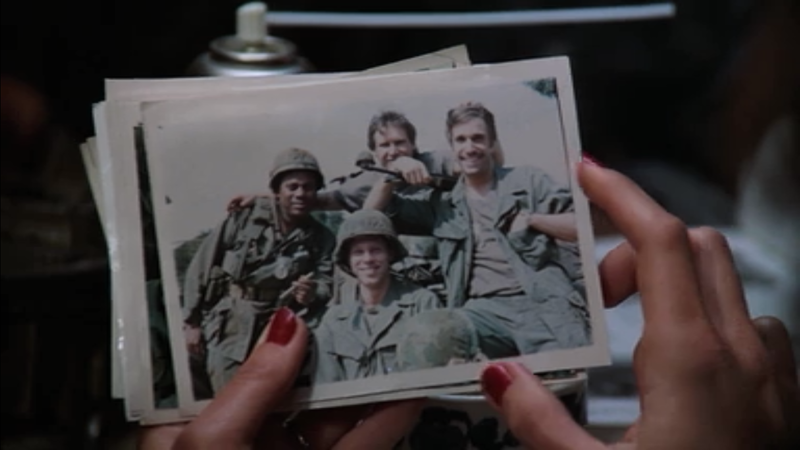 Winkler’s character provides a humanization of the stereotypical “damaged war veteran.” The film is more about his friendships, dreams and let-downs than it is about his veteran status. We don’t get a real sense of the depth of his trauma until the final ten minutes, which is a good thing, because it allows us to get to know him as a person first. To this day Henry Winkler is best known as “The Fonz” from Happy Days, and this film was released at the height of the show’s popularity. His character here is such a far cry from Arthur Fonzarelli. It’s great to see him show off his range as an actor. Harrison Ford also churns out a stellar performance, in a supporting role as Jack’s old friend Ken who races cars. Ford’s role is small, but his few scenes are very effective. I’ve always liked Sally Field, ever since ‘Smokey and the Bandit’, so thanks for reminding me of this one, which I’ve always wanted to see, and for mentioning this was on Netflix! She’s been one of my favorites since childhood. Very talented lady. She and Henry work well together in this film. Hope you get the chance to watch it soon! I’ll probably watch it sometime this week…I’ve DVR’d lots of other movies while staying at my brother’s place, so I have a bit of catching up to do. And sorry about my nonsensical sentence above, “I’ve always liked Sally Field, ever since ‘Smokey and the Bandit'”…it makes it sound like that was her first role as an actress, which I know it wasn’t! Thanks for reviewing this, it sounds pretty intriguing! Hope you get the chance to watch it some time! :) Thanks for reading. Yeah I hope so to!